Robotics Camp is Coming Up - Register Your Child Today! Long the stuff of dreams for science fiction writers and their readers, functioning robots have finally become a reality! Utilizing basic computer programming skills, students will be challenged to design and build robots that will be able to perform such tasks as running an obstacle course, following road courses, and picking up objects. As their proficiency with coding increases, students will be able to create more and more complex robot activities. Human bodies aren’t built for extreme aging: our capacity is set at about 90 years. 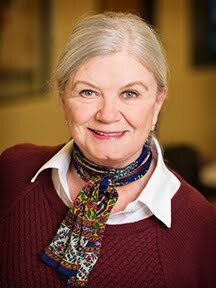 But what does aging really mean, and how does it counteract the body’s efforts to stay alive? Monica Menesini details the nine physiological traits that play a central role in aging. Lesson by Monica Menesini, animation by Cinematic. Register Your Child for Summer Camp - Junior Architects and Puppetry Camps June 27th - 30th! Join us in this hands-on class and, together with your fellow Lego lovers, design and build various machines, catapults, pyramids, derby cars, and other amazing contraptions using your cherished LEGOS and building talents. In addition to practice with concepts in physics and engineering, students will develop problem-solving and critical thinking skills in collaboration with other students as they strive to assemble increasingly complex and interesting structures. Calling all Puppeteers! Unleash your imagination and story-telling skills and enjoy a unique experience in personal expression. Explore and develop characters and stories connecting with various themes expressed through theatrical and dramatic exercises. Create puppet characters and scenery and make them come to life in your own original story. And then comes the really fun part: perform on stage for the enjoyment of one and all and upload it to YouTube to share with your friends! Humans are creatures of rhythm and repetition. From our breath to our gait: rhythm is central to our experience, and often brings us pleasure. We can find pleasure in the rhythm of a song, or even the rows of an orchard. Of course, too much repetition can also backfire. David Silverstein describes what poetic repetition is and why it works. Lesson by David Silverstein, animation by Avi Ofer. Summer is Almost Here - Register for Camp Today! Summer 2016 is almost here. 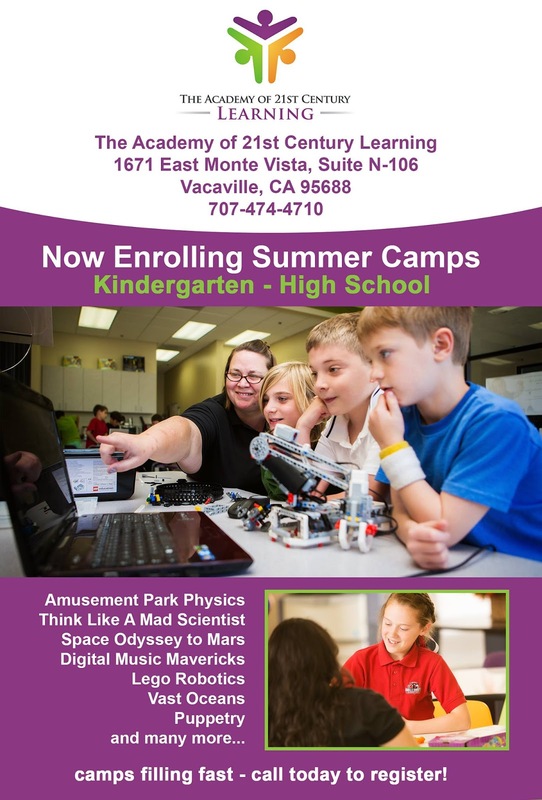 It's time to secure your child's spot in The Academy of 21st Century Learning Summer Camps! As your country's top spy, you must infiltrate the headquarters of the evil syndicate, find the secret control panel, and deactivate their death ray. But your reconnaissance team is spotty, and you have only limited information about the control panel's whereabouts. Can you solve the control room riddle and deactivate their weapon in time? Dennis Shasha shows you how. Lesson by Dennis Shasha, animation by Zedem Media. Worried that your children will forget everything they learned over the course of the summer months away from school? You may have more reason than you think to fear the summer brain drain according to a study by Duke University's Dr. Harris Cooper, a leading expert on summer learning loss. He writes that long summer vacations "break the rhythm of instruction, lead to forgetting, and require a significant amount of review when students return to school in the fall." According to Cooper's study, students' overall achievement test scores drop by about one month, on average, over summer vacation. Skills in mathematics and spelling usually take the biggest hits, with math skills suffering almost a 2.6 month loss in achievement. Suffering the most are children from lower socioeconomic backgrounds, who are presented with less opportunities to practice math and reading skills over the summer months than their more privileged peers. Their reading comprehension skills suffer the greatest, and their losses add up to a 2 year achievement gap by the time they enter their middle school years. There are steps that parents can take to help their children learn and even get ahead over the summer months. Some "Summer Educational Tips" will help transform the break from structured learning into an opportunity for students to sharpen their skills through fun and interactive ways. Follow these tips and send your children back to school smarter and more confident than when they left! 1. Take frequent trips to the library and register your child with a library card. 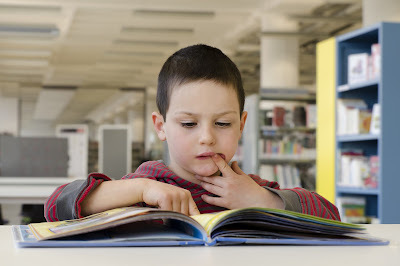 University of Florida's Richard Allington notes that the best predictor of summer reading loss is a lack of books at home and limited access to library books, so keep a good selection of high interest, level appropriate books around the house. Schedule a consistent "reading time" daily for your child. 2. Attend thematic programs at the library. Libraries often host a great variety of summer programs for kids that celebrate reading. 3. Talk to your child's teachers and ask them what your child will be learning next year at school. This way you can tie in family trips with next year's curriculum to create a more meaningful hands-on experience. For example, if your child will be studying a unit on the civil war, plan a visit to Gettysburg. 4. Give your child a gift card to a bookstore, or give books as gifts. 5. Check out audio books from the library for your child to listen to stories in the car. 6. 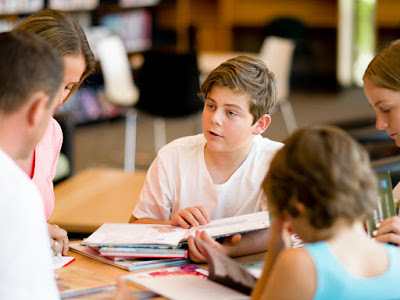 Consider Summer Tutoring: Tutoring services, such as in-home tutoring, can help children catch up or get ahead with one-on-one tutoring in the home. Take advantage of the summer months to remediate or accelerate your child in areas like reading comprehension, mathematics, writing or SAT/ACT test prep. 7. Research has revealed a direct connection between learning to play a musical instrument and an increased aptitude in mathematics. Consider introducing your child to music lessons over the summer.